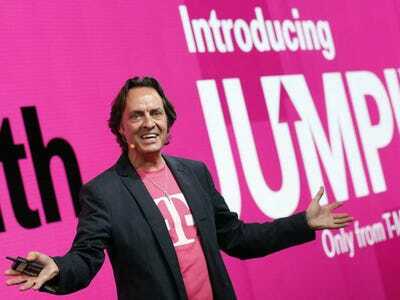 As part of a new agreement with the Federal Communications Commission, T-Mobile will start providing customers with more accurate information about connection speeds, even when speeds are reduced due to data plan restrictions, the FCC announced on Monday (via CNET). The carrier will roll out new tools that allows users to get an accurate sense of how fast their current connection is, even after they have blown past their monthly data caps. T-Mobile, unlike most carriers, doesn’t hit consumers with charges once they have exceeded their monthly data limit. Once you pass that data cap, T-Mobile switches you to slower service instead of 4G LTE service. The FCC says T-Mobile hasn’t been transparent about this in the past, since speed tests would only show information about the carrier’s full network speed — not the reduced speeds customers experience after exceeding their data limit. The FCC has been probing carriers about speed reduction practices for months, and the new agreement with T-Mobile comes just after the FCC convinced Verizon to stop throttling LTE for those on unlimited data plans last month. It’s unclear exactly when T-Mobile’s new practices will kick into effect, but the FCC says it should be “fully” implemented within 60 days.